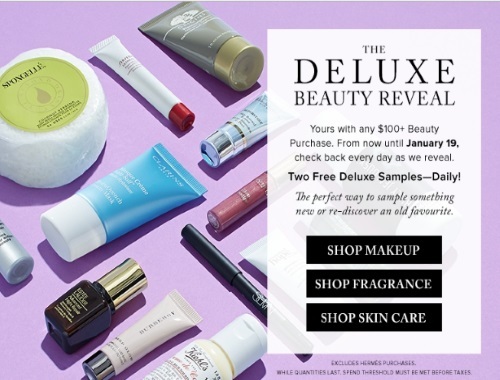 Hudson's Bay is offering Free beauty samples with $100+ beauty purchases! Offer is valid now until January 19 with two Free deluxe samples daily. Check back daily to sample something new or re-discover an old favourite. Every day there is a new sample available. Choose your samples at checkout.